LAS VEGAS, N.M. � When someone says �Las Vegas,� the first place that springs to mind for most people is the Nevada gambling mecca. Which makes it a little difficult for Train Robbers manager Casey Dill when he�s telling people about his new gig with the Las Vegas, New Mexico, Train Robbers. But, he hopes, by the end of the 2013 Pecos League season, Las Vegas, New Mexico, will be much better known. �I�m completely planning on having one of the best teams in the league again, and promoting my players at the end of the season again,� Dill said. The former Las Cruces manager sent 14 players to higher-level ball in 2012 after losing the league championship to Alpine in a close, three-game series, including his entire starting lineup, two non-starters and three pitchers. �Every one of my starters is now playing in the Frontier League and Jimmy Parque is playing with the St Louis Cardinals,� Dill said, which means he has somewhat of an unusual problem in building a team for the expansion Robbers. Dill is bringing in three players from his former Vaquero squad � two pitchers and a catcher � but other than that, he�s busy recruiting talent. But with only 11 players on the roster so far, Dill is going out on a limb with a prediction. Even at the second-lowest elevation in the league, the thing the Vaqueros were known for last year was their hitting, and as he�s putting together the Las Vegas roster � with a ball park at almost 6,900 feet � Dill is keeping that in mind. Dill will also be bringing back assistant coach Dustin Woodard, who he�s worked with the past seven years. 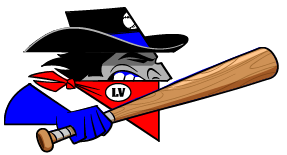 The Train Robbers will play on the Luna Community College campus, where the NJCAA Rough Riders compete in the WJCAC. And while Dill hasn�t had a chance to check out the field himself, he has friends both with the Rough Riders and Highlands University Cowboys who�ve given him glowing reviews of the facility and community. Another difference Dill will see from his first year in the Pecos League is a lot less travel, with the other four northern teams all less than two hours away. And while he said he�s not sure which team will become the Train Robber�s natural rival, he�s sure that will happen, but is more concerned with a southern division team.